SMS ConneXion® is the leading provider of comprehensive SMS gateway services offering intelligent, tailor-made solutions to harmonize industry messaging demands, globally. 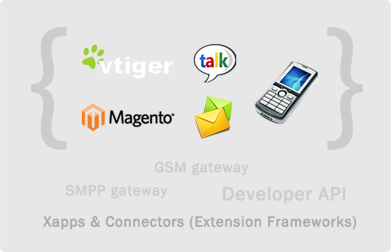 SMS ConneXion® is a mobile messaging platform that offers a wide range of SMS products and two-way messaging solutions for the enterprise. It provides mobile messaging with powerful enhancements. Pay only for your SMS usage and empower yourself with free tools to send bulk SMS. Register now and get started in 2 mins. It's FREE !!! Developer API supporting all platforms. The wide range of products and integration channels is OUR STRENGTH. 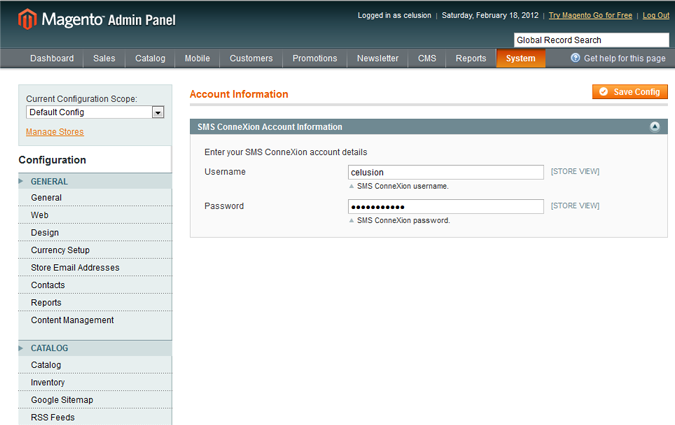 Supports sending and receiving of SMS. Create intelligent response systems using two-way communication channels. Supports a throughput of 12000 SMS per minute. It is the fastest way to reach a large audience instantly. Our backup infrastructure, tie-ups with multiple telecom operators and 24 x 7 service monitoring ensure maximum service uptime. SMS terminated to 800+ operators in 200+ countries around the globe. Planet M Retail Ltd now receives daily national sales revenue reports via SMS through Retail Pro Server integrated with SMS ConneXion®. RDC Concrete improves their response time to sales inquiries resulting in increased sales. 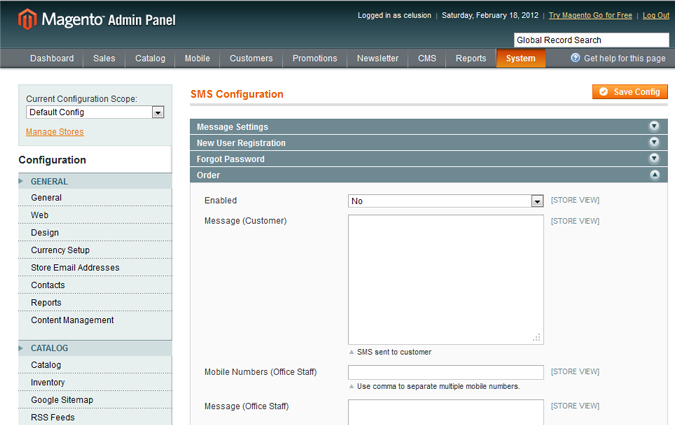 The Request a Sales Callback widget on the company website now notifies the sales team of new leads via SMS. "The support engineer configured a two-way SMS solution to retrieve the current position of my trading customers within 15 minutes. The flexibility offered by SMS ConneXion is unequalled." "We have always received a prompt solution for our messaging requirements from SMS ConneXion." "The integration team at SMS ConneXion have been very responsive to quickly integrate our telephony products with messaging capabilities." Shanto Mittra, Nexsus Techno Solutions. Learn how to configure Solar Winds NPM, a network monitoring tool to notify critical alerts via SMS in real-time. SMS ConneXion® is a platform, which harnesses the power of SMS in an architecture that allows you to rapidly deploy text messaging capability to your existing systems, websites, applications, hardware equipment and electronic devices. It represents the strongest corporate end-to-end Text Messaging solution in the market today. SMS ConneXion enables organizations to provide two-way messaging facilities to their personnel and corporate information systems using existing messaging infrastructure and line of business applications. In short, the platform provides a fully scalable two-way end-to-end wireless solution for organizations of any size. Send and receive SMS using GSM modems or mobile phones installed at your premises. Manage, send and receive messages from a desktop application. Manage, send and receive messages from your web browser. Message enable your legacy software through our SOA (Service Oriented Architecture). 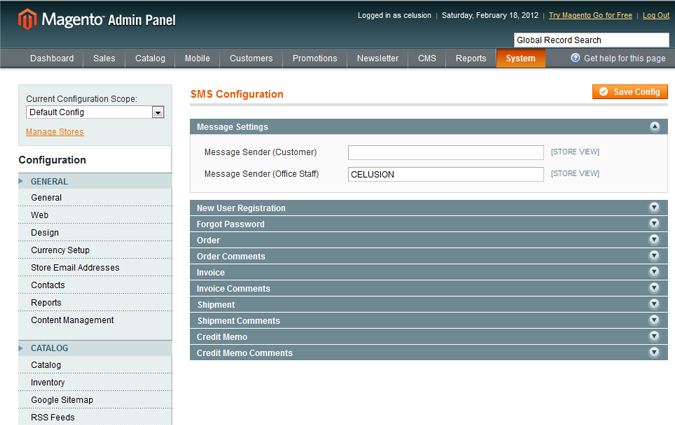 Integrates SMS alerts to trigger points like invoice creation and payment receipts in Magento. 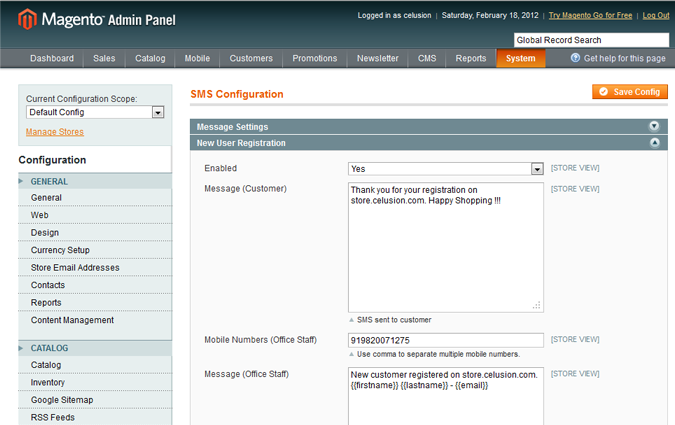 Integrates SMS within vTiger to send bulk SMS to contacts or define SMS alerts in the process flow. Send group SMS to contacts in your web address book through your phone with a single SMS instruction. Increase the conversion rate of website visitors through this website widget. Extends applications that support Email alerts, to auto-magically support SMS alerts. Send group SMS to contacts in your web address book through your GTalk ID.